We are an Inshore to Block Island charter business aboard a 23' Seacraft center console. Light tackle fisherman, fly fisherman, experienced, or not, families and friends. From the young to not so young, all are welcomed aboard the Busy Line. 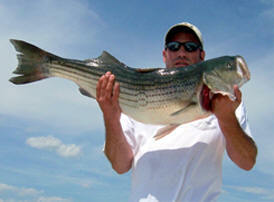 Customized hourly charters for one to three anglers. 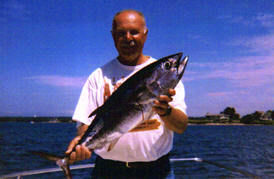 We have charters available for Bass, Blues, Bonito, Fluke. All bait & tackle is provided.